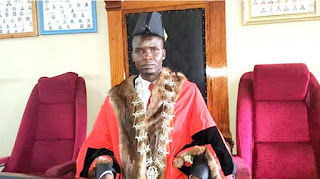 MDC-Alliance councillors in Chitungwiza yesterday elected an academic midget Councillor Lovemore Maiko of Ward 7 to be the mayor of the dormitory town whose highest qualifications are three short courses in general leadership. Clr Maiko won by 16 votes against ZANU-PF candidate Cde Kevin Mutimbanyoka (Ward 13) who received seven votes. He will be deputised by Clr Musa Makweza (19), who won with 16 votes against ZANU-PF candidate Clr John Matiyenga (Ward 3), who got five votes. Clr Maiko will be superintending over highly-qualified personnel at council including town clerk Dr George Makunde whose highest qualification is a PhD in Governance and Leadership. In an interview, Clr Maiko confirmed his three low-key qualifications which included a short course in computers. “I did my Ordinary and Advanced levels at Zengeza High. I have two national certificates in youth leadership training as well as a certificate in computers. “However, this does not deter me from spearheading development in our town,” he said. Infighting within the party was laid bare when two illiterate former deputy mayors Jabulani Mtunzi and Goodwill Mushangwe as well as Clr Fungai Magadzire were assisted to vote on the pretext that they have poor eyesight. Curiously, on the second round of voting, Clr Mushangwe voted on his own saying that he was feeling much better. Sources within the party said the idea was to ensure that the three councillors vote for the right candidates because they were regarded as suspects who can vote otherwise.